Embryonic development is a process of profound physical transformation, one that has challenged researchers for centuries. How do genes and molecules control forces and tissue stiffness to orchestrate the emergence of form in the developing embryo? How are the precise mechanics underlying emergence of the complexity of our organs and tissues encoded in our DNA? Nandan Nerurkar, assistant professor of biomedical engineering at Columbia Engineering, is working to answer these questions. As a postdoctoral fellow at Harvard Medical School, Nerurkar focused on one particular aspect of embryonic development: how a group of stem cells—the endoderm—moves from the surface of the developing embryo to the center, and in doing so transforms from a flat sheet to a hollow tube. This structure, known as the gut tube, then forms the lining of the entire respiratory and gastrointestinal tracts. In a study published today in Nature, Nerurkar worked with colleagues at Harvard to shed new light on this critical step in early embryonic development. The team discovered gut tube formation is driven by collective cell movements of the endoderm, a process by which cells travel large distances en masse, without rearranging relative to one another. They also found that this collective movement is triggered by cells that are converting a molecular gradient to a force gradient that drives cells from the surface into the embryo. This discovery is one of the few examples, especially among vertebrates, of how molecular cues are converted into the physical forces that shape our organs. The study findings could have important implications for how stem cells are used to create functional organs in the lab, and lead to a better understanding of the underlying causes of gastrointestinal birth defects. "Our major goal is to understand how we, as complex organisms, are formed with such precision from a seemingly disorganized ball of cells—the early embryo," says Nerurkar, the study's lead author. Identifying genes that drive differentiation of stem cells into mature cell types—the primary focus in Nerurkar's field—is an important step toward growing replacement organs in the lab. However, Nerurkar suggests this is only part of the picture: "It is equally important to understand how to instruct those cells to organize into functional three-dimensional organs. The developing embryo holds the recipe for this, and many research groups, including ours, are now leveraging the language of physics and mechanics to dissect it." The team, which included Nerurkar's postdoctoral advisor Clifford J. Tabin, the George Jacob and Jacqueline Hazel Leder Professor and chair of genetics at Harvard Medical School, and collaborator L Mahadevan, the Lola England de Valpine Professor of Applied Mathematics, and professor of organismic and evolutionary biology, and physics at Harvard University, used an innovative approach at the leading edge of the developmental biology field. They combined conventional approaches of developmental biology, including analysis and manipulation of gene expression and live time lapse microscopy of cell movements in the developing chick embryo, with engineering methods, such as mathematical modeling and force and strain measurements. They focused on one part of endoderm internalization: the hindgut, which gives rise to half of the small intestine, the large intestine, and colon. What was previously known of gut tube formation came from fate-mapping experiments, wherein cells are labeled early in development and then mapped to where the labeled cells end up later in development. This static analysis, which uses static images of the beginning and the end of the process to make an educated guess of what happens in the middle, has led to a view of gut tube formation that is present in most embryology textbooks. "Based on our recent findings, this view is at best incomplete, and at worst completely wrong," says Nerurkar. Unlike earlier fate-mapping studies, Nerurkar and his colleagues used live imaging in the embryo to directly observe cell movements as the endoderm is internalized to form a tube. They next applied a combination of mechanical engineering and developmental biology approaches to understand just how those cell movements occur, and how the movements are coordinated to form this critical structure in the early embryo. The team found that the movements are coordinated by the conversion of a molecular gradient into a force gradient from cells that are contracting in proportion to the amount of a molecular cue—fibroblast growth factor (FGF)—that they sense. This results in a tug of war among endoderm cells: as one "team" begins to win, the cells actually recruit players from the opposing team by pulling them from low to higher concentrations of FGF. Irregularities in FGF function can lead to a number of developmental defects. "During human development, errors in gut tube formation would likely lead to miscarriage, something that is a relatively high risk during the first trimester, when this process is occurring," says Nerurkar. While this study focused on just one part of endoderm internalization, the hindgut, it is still unknown how the foregut, which forms the trachea, lungs, esophagus, stomach, and liver, and the midgut, which forms the pancreas and small intestine, are formed. Nerurkar plans to use his new approach to study these other areas of embryonic development and investigate if and how FGF signaling acts more broadly to control mechanics in the development of other tissues and organs. "I want to learn more about how mechanics and molecules are integrated to coordinate the formation of these very distinct tissues by disparate mechanisms, yet from the same initial pool of stem cells," he says. 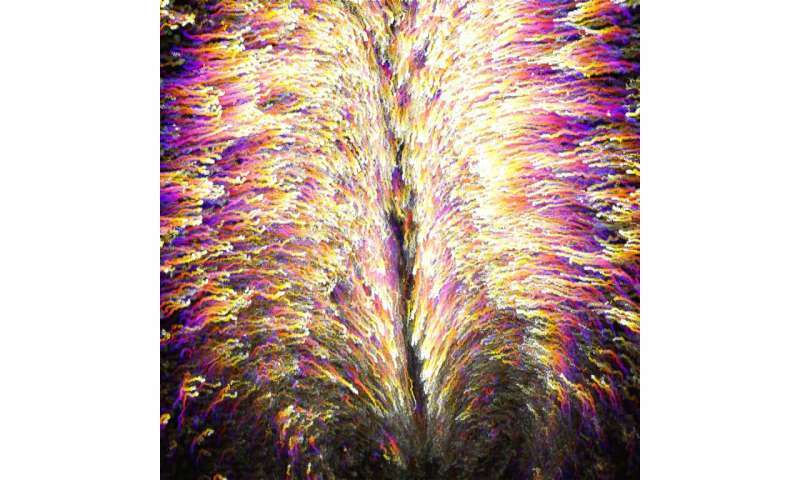 "By focusing on the tissue-level mechanics downstream of FGF signaling, we may now be able to understand what this important pathway does to shape other organs and tissues during development, including the heart, brain, and spinal column." Nerurkar is continuing this research at Columbia Engineering, developing quantitative molecular-mechanical relationships that could be used to design and construct replacement tissues in the lab, using controlled delivery of these diffusible cues—the instructional signals that are secreted by cells and then float away to neighboring cells—to instruct the self organization of cells into functional tissues and organs. If he and others in this field can establish the design principles of embryonic tissue formation, it will be possible to repurpose those same principles for regenerative medicine and tissue engineering applications.